A couple of weeks back, Conor McGregor took to Twitter to announce his retirement from MMA -- or so we thought. 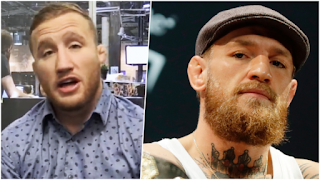 The Irish superstar has been embroiled in controversies outside of the Octagon, and as much as it seemed ridiculous that he would retire via social media, there did seem to be at least some reasoning behind it. But by the end of last week we realized we were all taken for a fool by McGregor once again. Not only is McGregor likely not retired, but he seems to be on his way to his biggest MMA payday to date. Just a week after saying he was done with MMA, McGregor became involved in a nasty Twitter exchange with UFC Lightweight Champion Khabib Nurmagomedov, one that hit the lowest of lows when McGregor attacked Nurmagomedov's family and religion. Sure, the back-and-forth drew clicks and headlines, but it was low-hanging fruit, and UFC President Dana White had to release a statement saying the UFC did not tolerate the kind of language the fighters were using. They simply went too far, though that didn't stop the public and media from eating all their comments up. Obviously, McGregor's goal out of this is to have a rematch with Nurmagomedov, because after all, the pair's first fight at UFC 229 last October was financially the biggest fight in MMA history, as it's the lone MMA card to break the two-million pay-per-view buys mark. 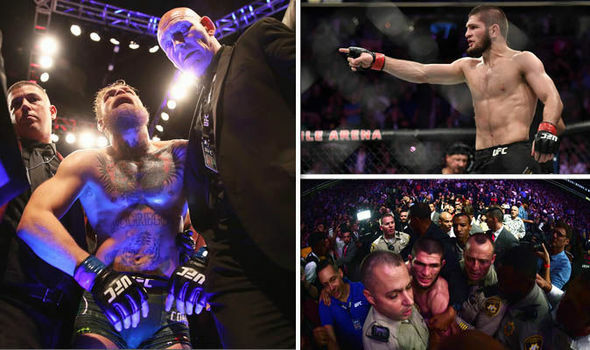 The fight was not very competitive, however, as Nurmagomedov pretty much dominated the bout from bell to bell on the mat, and even knocked McGregor down with a looping overhand right on the feet, as the champion eventually finished McGregor off with a neck crank. Based on how the fight went, a rematch made no sense. Yet what happened after the fight provided the main reason for some to find a rematch intriguing -- the infamous post-fight brawl between the two that was ignited when Nurmagomedov jumped into the crowd to attack McGregor's corner and the Irishman fought back. Both men were hit with substantial fines and suspensions from the Nevada Athletic Commission, which has led to both men sitting on the sidelines for the past six months. McGregor isn't being targeted for a return until this summer, and Nurmagomedov isn't likely to return until the winter. 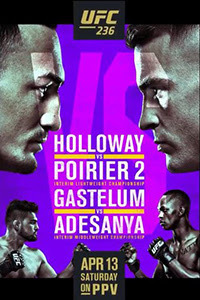 That's led to the creation of an interim lightweight title which will be fought for by Dustin Poirier and Max Holloway at UFC 236, as well as a logjam of title contenders in the UFC's stacked lightweight division. It makes the most sense for McGregor to come back this summer and fight someone like Nate Diaz in his return fight, or someone like Justin Gaethje or Anthony Pettis -- namely, a contender who deserves a big money fight against McGregor -- while Nurmagomedov should wait for the winner of the Poirier vs. Holloway bout, or better yet, Tony Ferguson if he's healthy. Instead, it appears McGregor and Nurmagomedov are angling for the fight that makes the least amount of sense if we consider MMA to be a sport (which we all know it isn't). 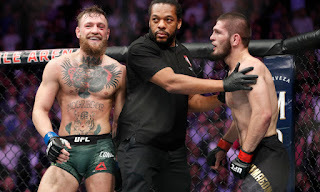 Of course, we all know MMA is about big money fights these days, and that timing plays a huge role in potential matchups, which means a rematch between McGregor and Nurmagomedov is entirely possible even though it doesn't make a lot of sense from a sporting point of view. This is especially true given White's recent comments, where he stated that he believes the Nurmagomedov-McGregor rematch would be the biggest fight the promotion could make, save for an MMA fight between McGregor and Floyd Mayweather. That might not be what diehard MMA fans want want to hear, but it's just the reality of things, and I wouldn't be surprised at all if we do end up seeing Nurmagomedov vs. McGregor 2 later this year.